Which equipment is best for processing 100-200 mesh coke powder? Question: Which equipment is best for processing 100-200 mesh coke powder? Detail: Which equipment is best for processing 100-200 mesh coke powder? Hello, I am very pleased to communicate with you. Is it petroleum coke powder that you said coke powder? Petroleum coke is the end waste of petroleum refining process. It can be processed to coke powder to used as fuel to replace Heavy Oil Technology. It is widely used in the glass industry. We recommend MTW European Trapezium Mill to process 100-200 mesh coke powder. 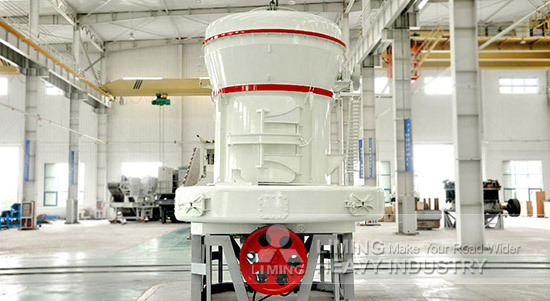 It is the fourth-generation upgrade product of Raymond mill, YGM Series Suspension Mill and TGM Trapezium Mill. It adopts a number of the latest patented technology of overall drive bevel gear, internal lubrication system and arc air channel. Which not only increase productivity, but also meet the national environmental production standards. In price, it is a low cost, small investment pressure, fast recovery of funds project. It can meet the requirements of the majority of the powder plant. <<Previous：How to contract a mining crushing production line? <<Next：If the impact crusher PF1315 can crush iron ore?